When you find yourself out deep in the woods, there’s a lot that can go wrong. 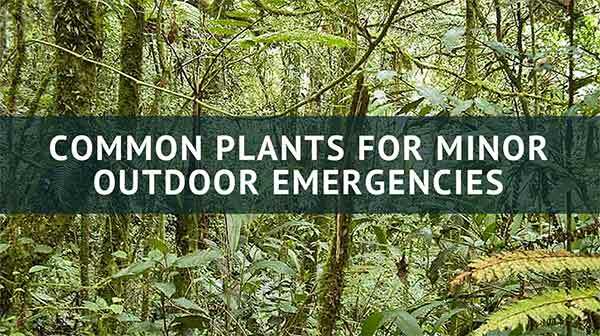 Most people aren’t prepared to handle even the slightest emergency when in the wild, yet knowing which plants can be used for medicine or food can make a big difference in your health, safety, and comfort. Face it, when you’re out in the bush you’ve got no one to rely upon but yourself. So to help give you an edge, this is a list of herbs and plants common throughout North America that can keep you going. Any essential field guide should be able to help you recognize the following plants, though I’m sure there’s a few you probably already know. To make this list as user-friendly as possible, we've divided it up by ailment or concern. This dark, leafy green plant is considered a weed by many people as it likes to grow in sunny yards and driveways. But, in the wild, this plant is one of your greatest allies. You’ll find it growing along trails, the edges of fields and woods, and along riverbanks. It’s ideal for stopping bleeding cuts and scrapes. Take one leaf and chew it up with your front teeth. It doesn’t need to be a paste, but you’ll want to release the juices. Place the chewed up plant onto the cut or scrape and hold in place for a few minutes. The blood flow should stop in about a minute with the plant also helping to speed up healing. This plant is readily identifiable thanks to its feathery leaves and cluster of white blossoms at the end of its stalk. Mature plants can grow up to three feet tall, while immature plants, or plants in high traffic areas, may remain short with no stalk and just a pair of leaves coming out of the ground. This plant is a powerful astringent that will stop bleeding quickly. Crush the leaves by rubbing them between your hands or chew them with your front teeth. Place the crushed leaves onto the cut or scrape and hold in place for a few minutes. 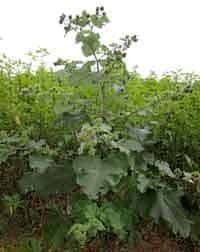 This is another powerful herb that is commonly viewed as a pesky weed. It likes well-drained areas with good sunlight and will grow in waste areas. You’ll recognize it by its heart-shaped seed pods with a small cluster of white blossoms at the top. This plant is one of the most excellent plants for excessive bleeding. 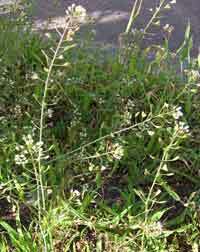 Whether you have a cut, gash, scrape, or nosebleed, Shepherd’s Purse will quickly stop the bleeding. It can be taken internally for the same effect, being commonly used to effectively stop hemorrhaging during childbirth. You can chew it up with your front teeth and apply to cuts and scrapes, for larger cuts you’ll need at least two plants. If you have a bloody nose, rubs the leaves between your hands to crush them lightly and release the volatile oils. Shove the plant up your nose and the bleeding will subside shortly. If you should find yourself trapped outdoors and with no food, things can start to feel desperate pretty fast. But the following plants are common throughout the forests of North America and are not only edible but an excellent source of nutrition that you can supplement your diet with. This plant grows large, with leaves as long as two feet and a stalk that can reach up to five feet high. It’s known for the sticky burrs that it produces in late summer that you’ve probably had to pull off of your hunting clothes more than a few times. 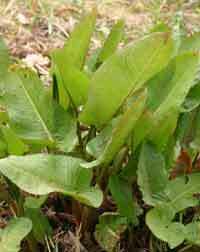 In spring, the leaves make a great food source and can be used as a pot herb or as a salad green. In autumn, the leaves are too tough (though they can be great in herbal teas,) but it’s the root that you want now. Clean the root and scrape off the outer layer to reveal the white flesh. You can dice this and fry it or boil it as a vegetable or in soups and roasts. Few people are aware of just how useful this plant is. 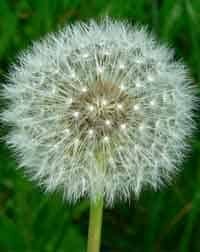 Heralded as the most hated of all weeds, Dandelion was deliberately introduced to North America due its use as a highly nutritious food source. The entire plant is edible, with the leaves making a great salad green or nutritious addition to sandwiches. The leaves can also be cooked like spinach. Younger leaves will be less bitter while older, darker green leaves will be more bitter. The blossoms are commonly used to make wine but can make a sunny addition to salads, too. At home, you can whip an egg batter, dip the blossoms into it, and fry them for Dandelion Fritters. The root is the most nutritious part of the plant, as that long tap root reaches deep down, pulling up trace minerals. Scrape it clean and boil it as a vegetable or add to soups. It is the most bitter part of the plant, but longer cooking takes out the bitter taste. This is a member of the onion family and is found in healthy forests. 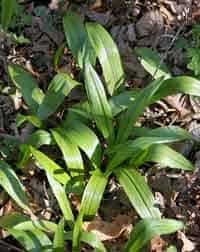 It is a delicious spring treat that makes a great foraged food supply as the forest floor will literally be carpeted in the soft green leaves of a million Ramps. The entire plant is edible, and you’ll find a small white bulb growing just a few inches below the surface of the soil. The whole plant bears an oniony flavor and can be chopped and added to soups, pasta, and salads. If you find yourself needing to forage greens for an emergency meal, Ramps can help add a familiar flavor to what may otherwise be a meal of new and unfamiliar flavors. 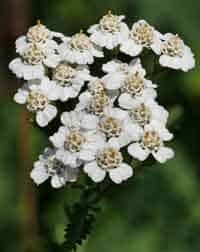 While it is a great plant to know to stop bleeding, Yarrow is also edible, and the leaves can make a nice peppery addition to your other foraged greens. At home, you’ll find it works well on pizza, in sandwiches, and in salads. Mushrooms are also another potential food source that is best avoided. 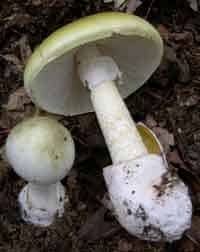 There are too many mushrooms that have deadly lookalikes. While there is one mushroom listed above, the sheer size of this mushroom sets it apart from other toxic puffballs, making it instantly identifiable. 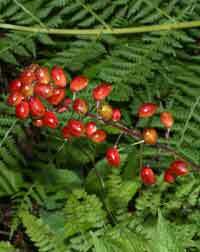 This is a low growing plant that likes to grow in bright yet sheltered places. You’ll find it at the bases of rocks and trees or along the edges of fields and meadows. It grows sort of like a creeper, forming a dense mess of itself that will be recognizable by the short triangle-like leaves and tiny star-shaped blossoms. 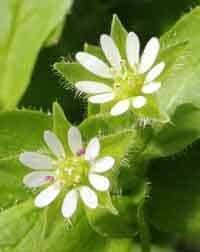 Chickweed is great mixed with other foods and makes a great salad addition. At home, you’ll find it tastes amazing in grilled cheese sandwiches. These mushrooms are a common sight in autumn in healthy forests. 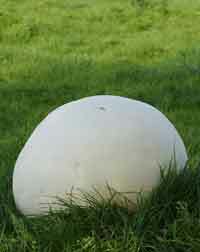 They can grow to be as large as a beach ball, making them easily distinguishable from other mushrooms. You'll recognize them not just by the size, but by their eerie white color. Good mushrooms will be evenly white and just starting to crack, revealing smooth white flesh inside. Trim off the stem, and slice up. It’s great fried, sautéed, or added to soups. Don’t wash before cooking as it will absorb the water and become squishy. Not just a great ally for cuts and scrapes, Plantain also makes an excellent food source. This is one of the first plants my kids learned to identify, and it’s nothing unusual to see them picking Plantain from the yard to eat while outside playing. The leaves are slightly bitter, but it’s a taste that you quickly grow accustomed to and learn to like. 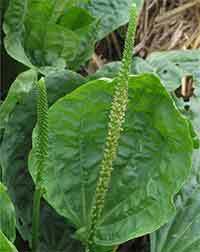 Plantain makes a great salad and sandwich green, though my kids like it on pizza, too. As it is so common, this plant is a great plant to learn as it will be there for you when other plants won’t. You’re likely very familiar with this tall plant and the stinging red rash it causes when you brush against its leave. But, Stinging Nettle is also an important food source, rich in calcium and iron. It does need to be cooked before eating, so if you happen to have your camping gear, adding the leaves to your campfire meal will help to boost the nutritional level and make your food stuffs last longer. It also has a mild taste that is usually masked by the other foods it is cooked with. North America is home to some deadly plants and eating their berries can result in mild reactions, such as diarrhea, or even death. In fact, both Red and White Baneberry, common throughout North American woodlands, are so toxic that two berries will kill a child and just five will kill a grown man. Other common berries such as Blue Cohosh, Buckthorn, and various Nightshades can cause gastrointestinal distress, such as vomiting and diarrhea. When it comes to berries, your best bet is just to leave them alone. As if further proof were needed as to its usefulness, Plantain is also an excellent remedy for any and all skin complaints. It can help to soothe insect bites and is calming to rashes. Crush the leaves to release the juices and apply directly to bites and/or rashes. Hold it in place for a few minutes. If the pain or itching persists, apply another leaf. This plant is a powerful purifier and is used in herbal medicine to draw toxins out of the body. That makes it an effective treatment for insect bites, as it will help to draw out the poison. While it won’t help with truly venomous bites, such as from a black widow spider, it can help to relieve the pain and swelling from the bites of ants, flies, mosquitoes, wasps, and hornets. There are a few varieties of Dock that grow throughout North America. Many are actually invasive species, which should give you no qualms about using it. 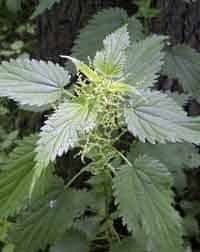 The juice from its leaves is the best cure for taking the sting out of the rash brought on by Stinging Nettle. These plants like similar growing conditions and are frequently found growing together. Take a leaf, crushing it with your teeth, and place the mashed leaf onto the stinging red rash. It should begin to feel better shortly. Of course, this is nowhere near a comprehensive list of plants that will help to see you through an outdoor emergency. 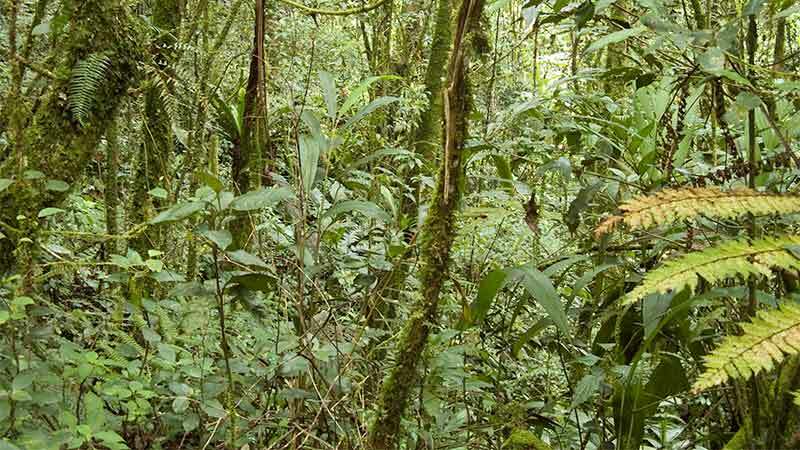 But, knowing these plants will give you a strong foundation to increase your foraging and herbal medicine knowledge to be prepared for any situation in the wild.